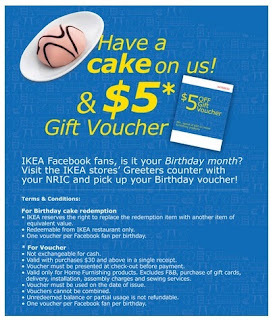 Free Voucher: IKEA $5 & a cake! Be an IKEA Fan, "Like" them in your birthday month and you get a cake & $5 voucher (minimum spend of $30). 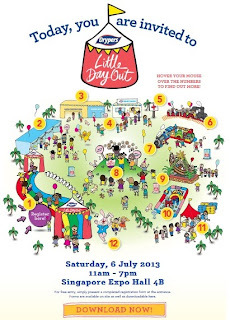 Drypers Little Day Out is here~ Mark your calenders> 6th July @ EXPO Hall 4B. 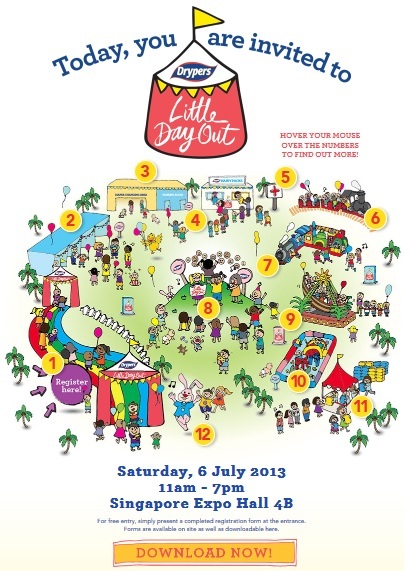 Fun filled activities for kids from train rides, bouncy houses and stage performances. To sweeten things up, drypers products are at a discount at the event. Something to note: At Booth 4 support the KKH endownment by purchasing a Happy Pack for $10/15 worth up to $40. 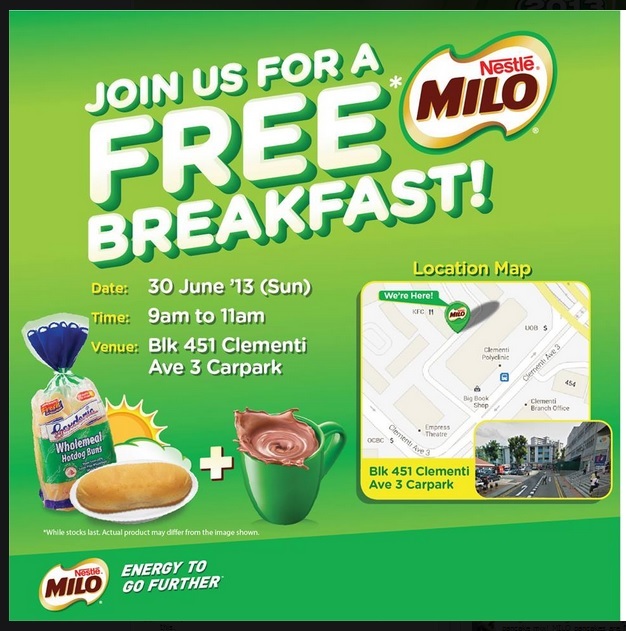 Free Breakfast: From Nestle Milo! If you are at Clementi this Sunday there's free breakfast for you! Samples from Shu Umera, their new Anti/Oxi Clensing oil. There's a chance to win a 1 year supply too! Scroll downt he page, watch a video and answer the question. A cosmetic line from Japan, since 1970. Revolutionary moisturising regime. 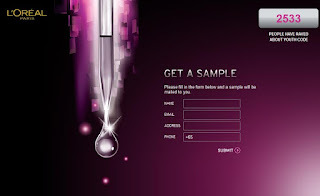 Like them and fill up your details. Collection @ Isetan Scotts or Takashimaya. Youth Code... I can be young again ?!?!?!?! 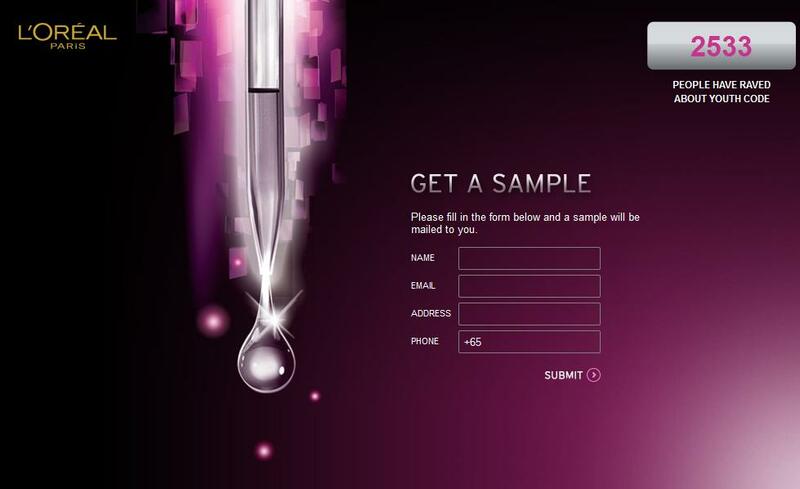 Samples will be mailed to you. The mode I like, rather than having to go collect them. Not expecially in my current "very" prosperous phase. For all who love their long tresses! 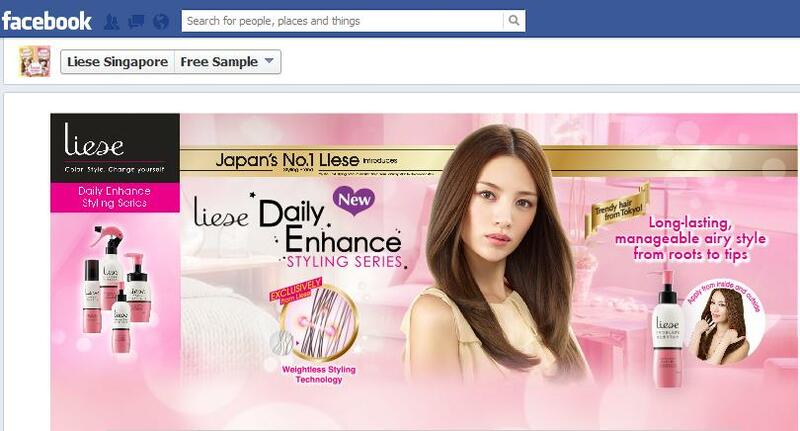 Try the Liese Daily Enhance Styling Series. Limited to 1 per household only and valid for the first 1,000 completed entries. While Stocks last ladies~ Hurry! OMG! I missed a freebie?!?!?!?!? How can that be forgiven!!! Well, we really cannot let history repeat! 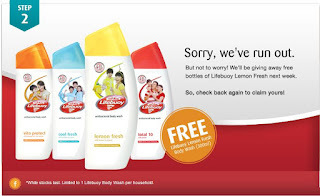 The first round of giveaways was for the LifeBuoy Total 10 sample. Next week its the LifeBuoy Lemon Fresh up for grabs. So you know where to find Mdm Cheapo at 0000hrs this coming Sunday! Some might think this is a little extreme for what, a $2-$3 item... Don't judge me~ I will get this!!! Just when I thought shopping on iherb in June was wondeful with free DHL shipping, I receieved an email from iherb !!! 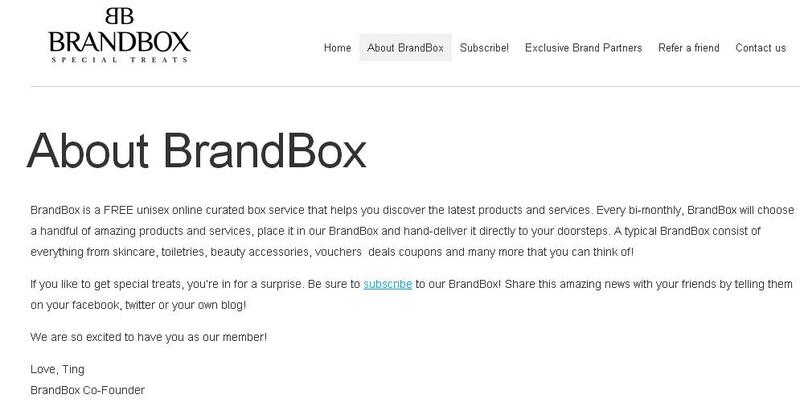 It said Free SHIPPING with Singpost! The minimum purchase ($40) & weight limit (4lbs) is the same wih Global Priority Shipping BUT now, in stead of the usual 3 weeks that it takes, it ONLY takes 8-14 days with Singpost. For the entire month of June! 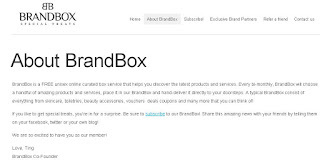 First time buyer gets $10 off purchases above $40! Use code: ZIV517 during checkout!!! It's time for Ocean Health's Mid year giveaways! 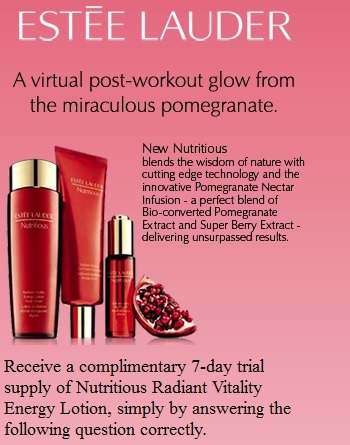 "Like" them & Post your skincare regime on their FB page! 200 Ocean Health Skin Radiance with Collagen Supplements up for grabs! Hurry! I just got the email this morning and alreadt there are quite a few posts up on their FB page. I hope you make it in time! The terms are minimum US$125 and within 9 lbs (20kg) and the products needs to be sold directly by Amazon, not 3rd party retailers. Imagine all those US goods at a steal!!! Baby girl is definitely getting more stuff now, all the Fisher-Price, Bright Starts baby products are now at 20-50% off online prices. Not buying is a sin! To my very pleasane surprise, iHerb is offering free Free Global Priority Mail again! This time for the entire month of June! But I'm just another very excited, typical Kiasu Parent! In addition, if you order $200.00 or more from us during the month of June, we will upgrade your account to permanent VIP status! *Do note there is a weight limit of 4lbs. Happy shopping and Stay healthy!